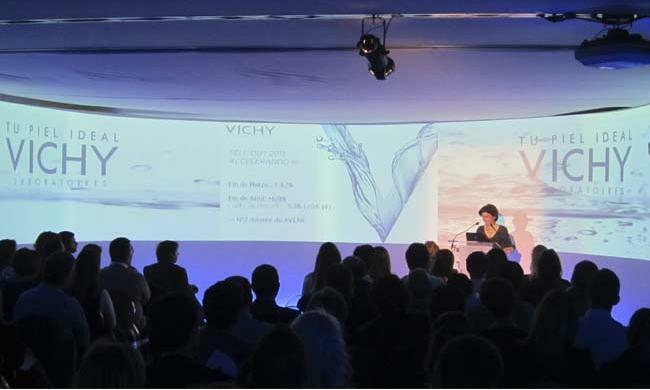 Presentation for the Sales Force of the Vichy flagship product for the year 2013. A feminine and enveloping atmosphere is created through the game of screens to integrate the guests. It is set with projections, lights and mauve and violet shades using LED technology to implement color changes in the setting of the room.